john4jack (Corvallis, Oregon, United States) on 7 December 2013 in Documentary & Street and Portfolio. It's cool to see that indians have reintegrated their ancestral houses. Beautiful typical village. The architecture makes me think to Africa, in north Niger for example. Assez désertique et loin de tout. I your photo of the bland colors in the Pueblo. I like the random look of the variety of different buildings. From one moment to the next, will appear the sheriff. Lovely tranquil scene! 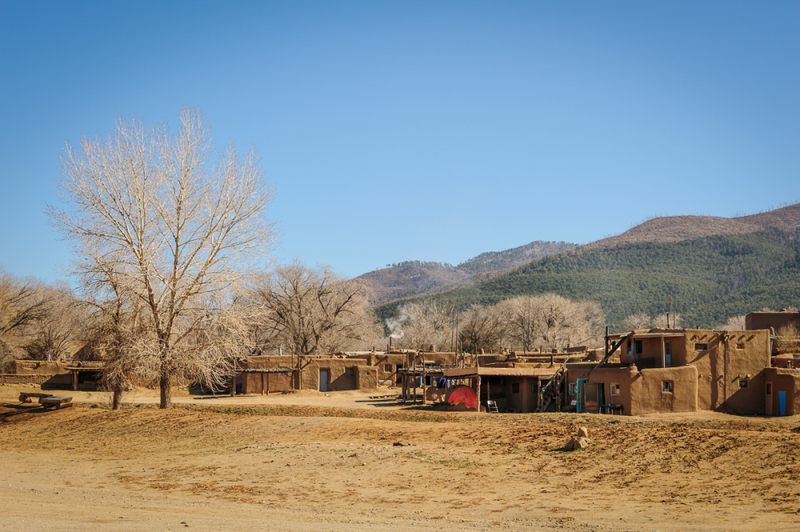 The contrast between the blue sky and the earth-colored pueblos is perfect. A great shot of the adobe houses. Here's a shot I got there some years ago. ....Where are Clint eastwood,Henry Fonda and Charles Bronson ?????? ?